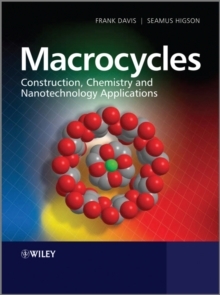 Macrocyclic molecules contain rings made up of seven or more atoms. They are interesting because they provide building blocks for synthesizing precise two or three dimensional structures an important goal in nanotechnology. For example, they can be used to develop nanosized reaction vessels, cages, switches and shuttles, and have potential as components in molecular computers. They also have applications as catalysts and sensors. 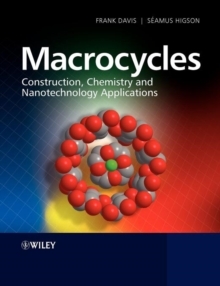 Macrocycles: Construction, Chemistry and Nanotechnology Applications is an essential introduction this important class of molecules and describes how to synthesise them, their chemistry, how they can be used as nanotechnology building blocks, and their applications. A wide range of structures synthesised over the past few decades are covered, from the simpler cyclophanes and multi-ring aromatic structures to vases, bowls, cages and more complex multi-ring systems and 3D architectures such as pumpkins , interlocking chains and knots. Topics covered include: * principles of macrocycle synthesis * simple ring compounds * multi-ring aromatic structures * porphyrins and phthalocanines * cyclophanes * crown ethers, cryptands and spherands * calixarenes, resorcinarenes, cavitands, carcerands, and heterocalixarenes * cyclodextrins * cucurbiturils * cyclotriveratylenes * rotaxanes * catenanes * complex 3D architectures, including trefoils and knots Macrocycles: Construction, Chemistry and Nanotechnology Applications distills the essence of this important topic for undergraduate and postgraduate students, and for researchers in other fields interested in getting a general insight into this increasingly important class of molecules.